I’m home relaxing on the couch after our second “long” run of Marine Corps Marathon training. The quotes are because the run was seven miles. And that was long enough for July 5th. About half of the runners were looking a bit rough this morning. It was slow but we did it. We decided that today was just about showing up. Yesterday was tons of fun. 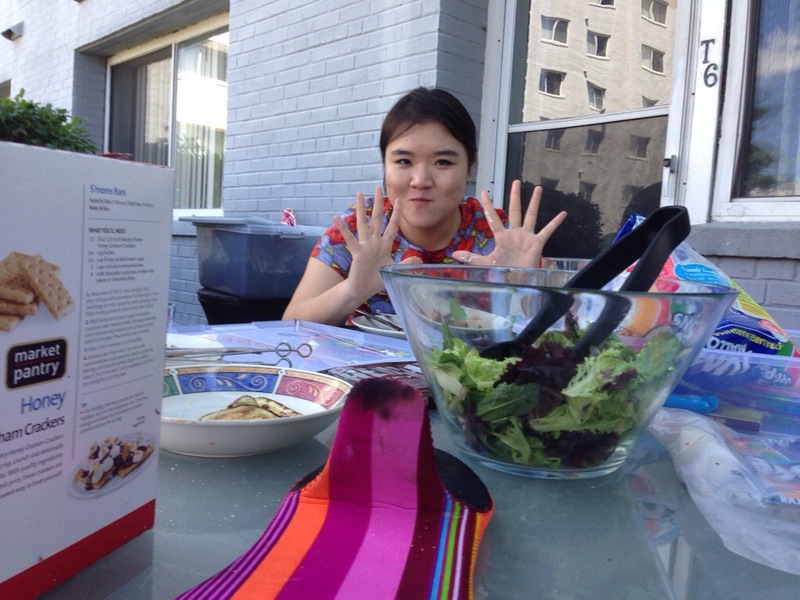 My friend Sijin came over and we grilled and she had her very first s’more. I’m so glad I can be such a positive influence on people. After discovering that Sijin doesn’t like lamb (“it’s the meat version of goat cheese!”), we headed to another BBQ at a friend’s house nearby. Then we jumped in the pool. After seeing we had 5 minutes to catch the bus, we changed in record time and ran to the bus stop…but we missed it. 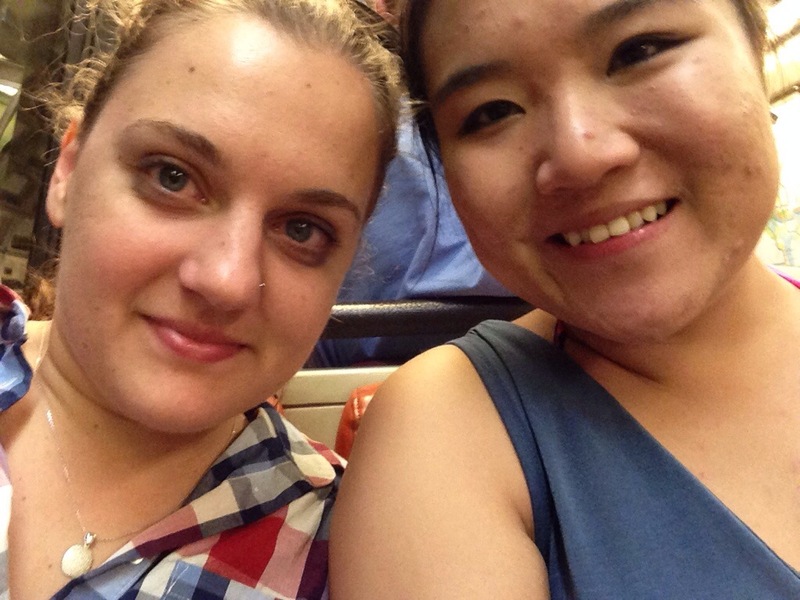 So we metro-ed and walked our way to the National Cathedral and met some friends to watch fireworks in what is supposed to be one of the best places to see them besides the Mall. Guess what? We couldn’t see them! Just a tiny bit through/over the trees. I attempted to take a picture and instead ended up with a photo of a couple in front of me kissing. 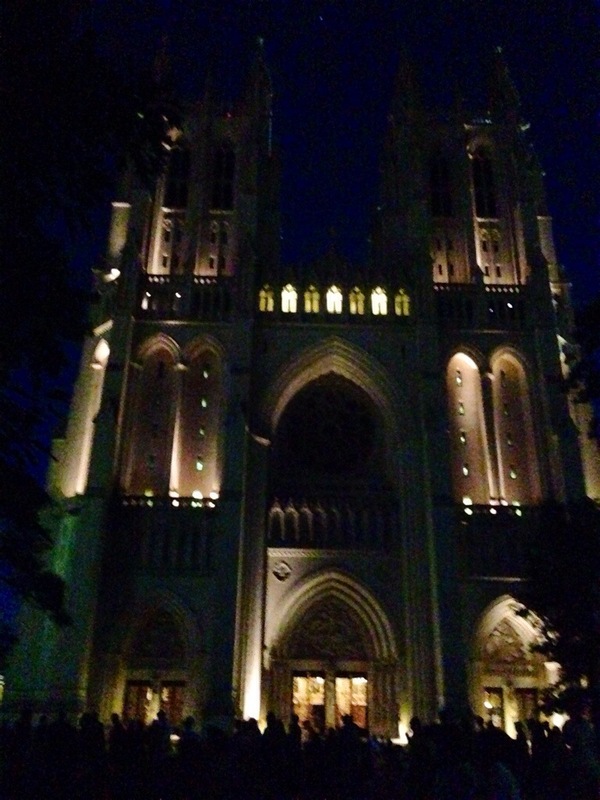 The National Cathedral is very pretty at night. Then I got home late and dehydrated without eating dinner so this morning was quite rough.